A UNIQUE SITE FOR SCIENTIFIC RESEARCH! The EPN science campus is an international science hub hosting three major European institutes along with joint partnerships. It hosts a staff of 1500, including 500 scientists or postgraduate students, and welcomes more than 8000 guest researchers every year, resulting in more than 4000 publications annually in peer-reviewed journals. Grenoble, in the heart of the French Alps, is famous for science and innovation. In a world where technological progress depends more than ever on fundamental research, the European Photon and Neutron Science Campus (EPN) offers not only the world’s most powerful neutron source, the ILL, but also the world’s premier source of photons, the ESRF. 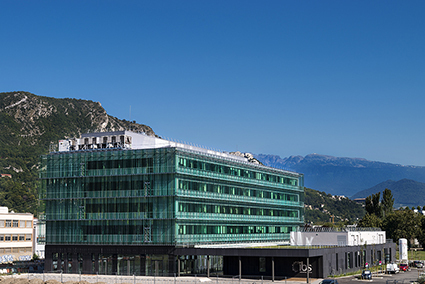 As service institutes, the ILL and the ESRF provide facilities for scientists from their 19 member countries and others from all over the world. 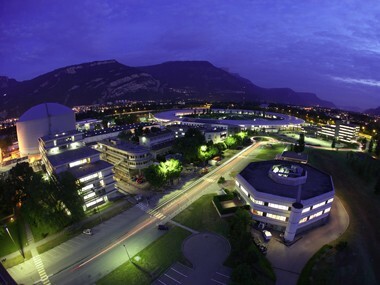 The EMBL has its Grenoble laboratories on the campus and runs a scientific programme strongly related to the neighbouring neutron and photon facilities and amplified through numerous collaborative projects. Scientific instrumentation of this quality has made the campus a unique location for experiments breaking new ground in modern research, in fields as diverse as structural biology, fundamental physics, or the science of materials. To maintain this momentum the institutes seek synergies and scientific partnerships at every level. As science advances and research needs develop, new support facilities are provided such as the Partnership for Structural Biology (PSB), with its highly specialised laboratory for the deuteration of biological samples (D-Lab), and its materials science support laboratory. At the ESRF, eleven Collaborating Research Groups complement the offer of beamlines to the European scientific community. A new collaboration, the Partnership for Soft Condensed Matter (PSCM) has just been established between the ILL and the ESRF, and other partnerships are foreseen in the future (for extreme conditions science for example). This EPN website provides the essential information visitors may require, whether they arrive as scientific users, visitors to the institutes, or members of the various scientific and administrative committees. It is also the portal providing access for ILL and ESRF users to a number of administrative applications (user accounts, experiments proposal submission, registration for experiments, report archives, training programmes, etc.). 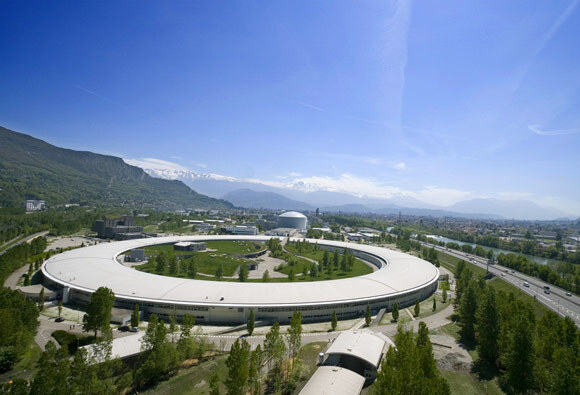 The European Synchrotron Radiation Facility (ESRF) in Grenoble, France, is a research facility jointly financed by 19 European countries. The Institute de Biologie Structurale is an important French research centre with cutting edge facilities. It develops new methodologies for integrative structural biology. The Institut Laue-Langevin (ILL) is an international research centre at the leading edge of neutron science and technology.